You can conveniently choose the clinic nearest you and make appointments for everyone in your household. 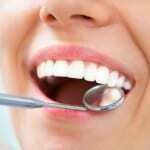 When you have been seeing a dentist for a long time and discover that they don’t provide all of the dental services you need, it can create some anxiety to seek out another dental professional for something new. At Georgian Shores Dental Centre, we want to make sure you don’t have to have this experience, and that’s why we offer both general dentistry and cosmetic dentistry services to meet the needs of our patients. With our general dentistry services, we provide complete care for you and your family including preventative cleanings and oral health screenings that keep your smile looking and feeling its best. This is some of the most important work that we do because it helps you maintain your smile in between visits to our clinic. However, when you find that your smile could be whiter, you have a missing tooth that looks out of place, or you simply want to refurbish your smile altogether, you can trust us to provide cosmetic dentistry services at the same office. From porcelain inlays and onlays to safe and effective teeth whitening, our cosmetic dental services will help to restore your smile and your confidence in your daily life. Another great thing about our clinics in both Midland and Collingwood is that we offer family dental services and will see patients of all ages. That means you can conveniently choose the clinic nearest you in Thornbury, Ontario and make appointments for everyone in your household at the same location. If you have questions about our dental services or are looking for a dental clinic where your entire family can be served, contact us at Georgian Shores Dental Centre today to get started. We look forward to seeing you soon. At Georgian Shores Dental Center, we offer dental services at our Midland and Collingwood dental clinics for residents of Collingwood, Creemore, Midland, Nottawa, Penetanguishene, Perkinsfield, Port McNicoll, Stayner, Thornbury, Victoria Harbour, Wasaga Beach, and Wyevale, Ontario.